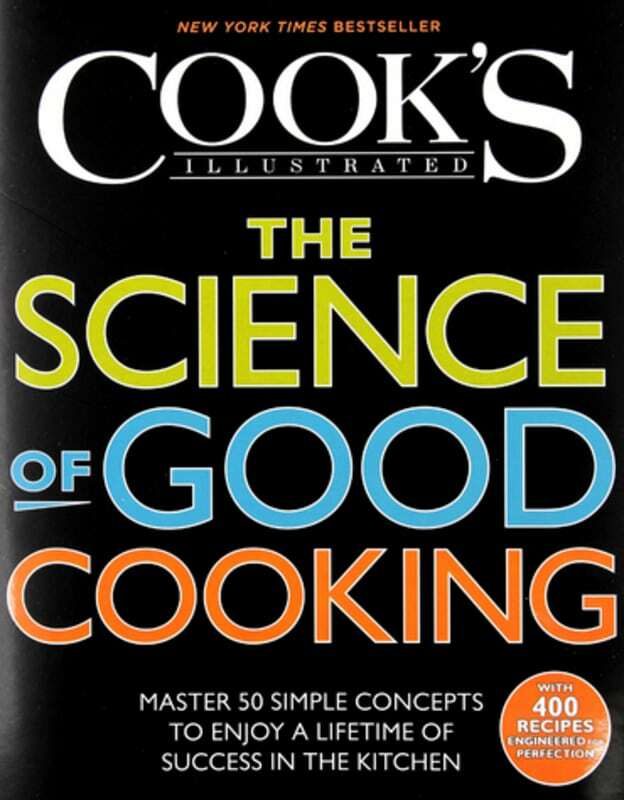 If you are looking for a good book on why food cooks the way it does, then The Science of Good Cooking by The Editors of America's Test Kitchen and Guy Crosby Ph.D. is a perfect selection for you. At America's Test Kitchen the Cooks Illustrated team investigates every facet of every detail associated with cooking through thousands of kitchen tests. Their mission is directly focused on great home cooking, to help the regular home cook perform to the highest standard possible. They simply understand the fundamental principles of cooking and share the unspoken rules that guide their every move in the kitchen. What s behind these principles? Science. This book brings you into the test kitchen with 50 unique (and fun) experiments engineered to illustrate the science at work. But don't worry, there is no fancy equipment or hard to find ingredients involved. These are basic cooking concepts that every home cook should know. When the fundamental recipes are coupled with the simple science explaining how and why they work, the results are illuminating. The Science of Good Cooking breaks down why food cooks a certain way and which techniques are best for what purpose. A section titled "why this works" following each recipe; it breaks down the science behind each step. This is a great book if you want to improve your cooking technique, and also if you just want to learn more about why things behave the way they do! This is like taking a "Food Science 101" class at home. However, you will appreciate the ease with which the various cooking techniques are described and beautifully illustrated in a very "Cooks Illustrated" unique way.